Taking an awesomely unique approach to signaling the R8 GT's arrival to the Chicagoland area, Audi of America came up with this billboard which reads: "Attention Lake Forest, IL. 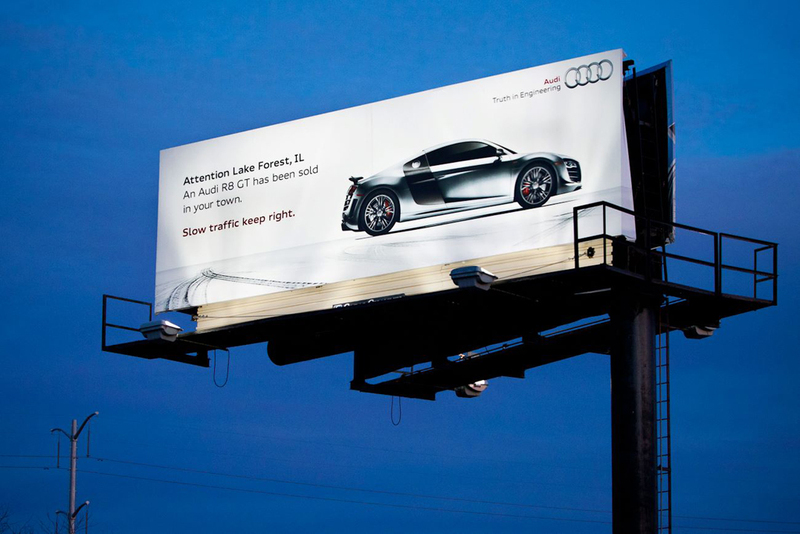 An Audi R8 GT has been sold in your town. Slow traffic keep right." As originally posted to their Facebook page, the Highland Park-based dealer (which sold the car), Audi Exchange commented; "Imagine the feeling that the owner of this R8 GT, who is one of our customers, must get when they pass this billboard on the highway." More after the jump. 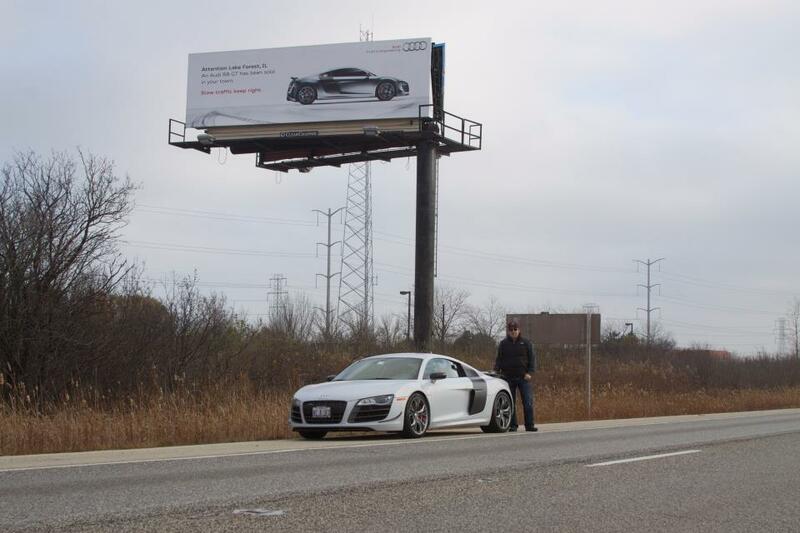 Further expanding on the subject, Audi Exchange later posted the photo seen above, showing the actual car (and its proud owner) that inspired the billboard.